Mary Pat (my knitting assistant) and I after we added stitches to the sock. 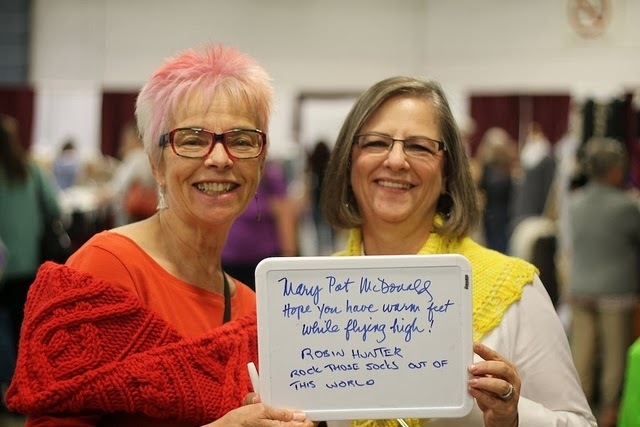 I spotted Glenna C., Lyn Gemmell, Marsha White and Kate Atherley in some of the other photo. Did you see anyone you know? Are You too Hard or too Easy on Yourself?